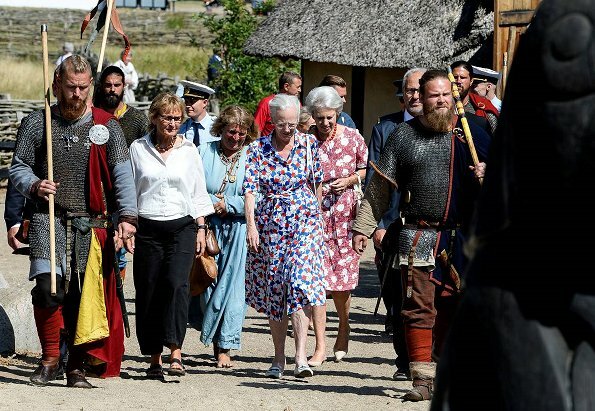 Queen Margrethe II and Princess Benedikte are currently having a holiday at the castle in Gråsten. 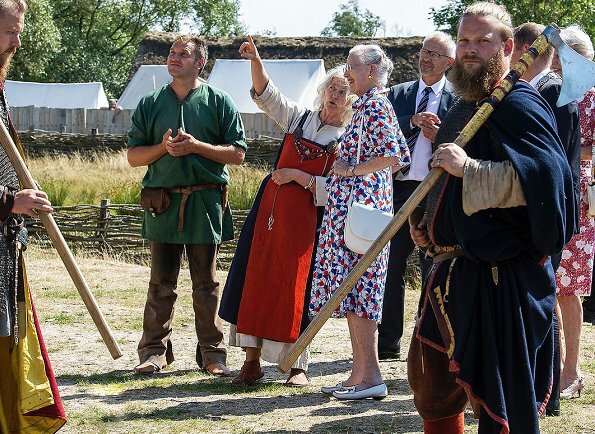 However, they spare time for trips in South Jutland region. 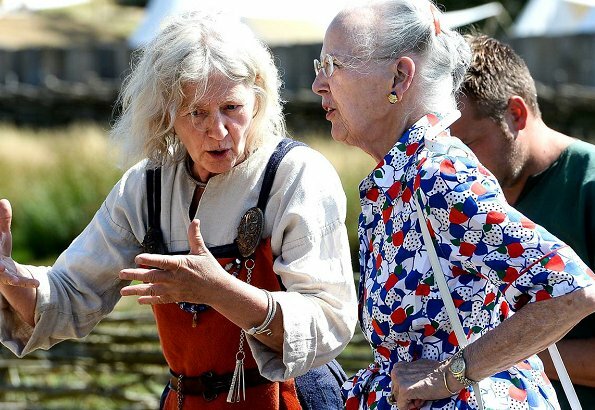 On Thursday, two sisters made a trip to Ribe together. 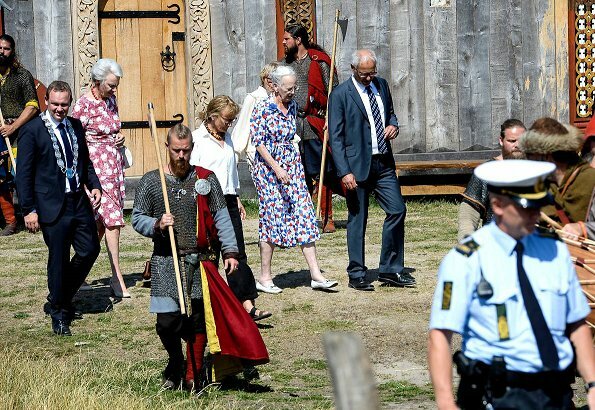 Queen Margrethe visited Ribe Viking Center which she had visited eight years ago. 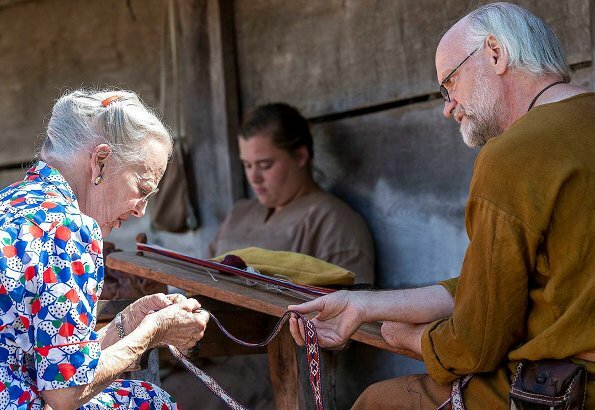 Her little sister, Princess Benedikte made a special visit to Jacob A. Riis Museum. Journalist Jacob Augustus Riis (1849–1914) was born and grew up in Ribe which is the oldest city of Denmark. 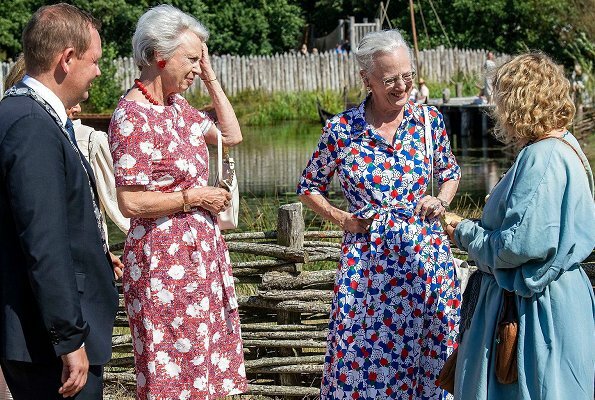 both dress;s are lovely so nice to see both sisters have an event together. 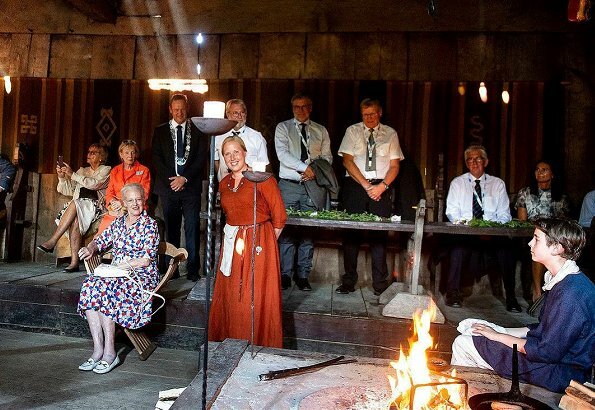 In photo #4 the queen's profile looks just like that of Crown Prince Fredrik! 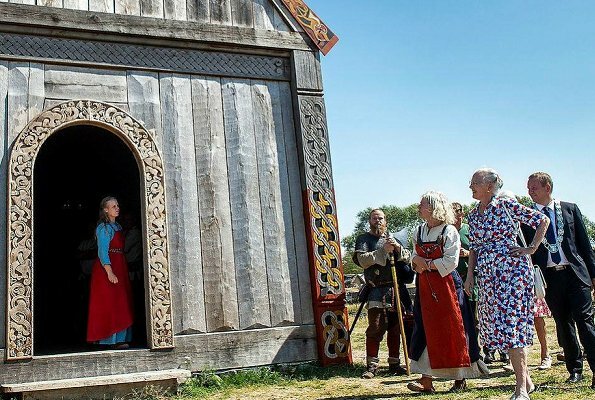 Sie haben immer so schöne , farbenfrohe Kleider an , die Königin und ihre Schwester ! !